The Hyde Park Angels “New Investment Series” profiles our most recent investments by examining the portfolio company and its future trajectory from two perspectives: the portfolio company’s CEO and the HPA leader who made the deal happen. This edition focuses on Branch Messenger. Branch Messenger is an employee self-service platform that allows hourly shifts workers to manage their shifts in real-time and enterprises to access their workers at scale. The company recently raised a $6.8M funding round led by March Capital Partners with participation from Hyde Park Angels, CrossCut, Techstars Ventures, and Matchstick Ventures. We spoke with the HPA Deal Lead Neil Stern and CEO and Founder Atif Siddiqi to learn more about why the future is self-service and how entrepreneurs can follow in Branch’s example to successfully fundraise. Atif started Branch Messenger in 2015, but he identified the problem he was trying to solve almost ten years before. Working in retail, he had to switch shifts manually through paper schedules. Almost a decade later as Entrepreneur-in-Residence at Idealab, he realized retail workers were still using those same paper-based, out-of-date tools to manage their shifts. That’s when he decided to found Branch Messenger. Branch started as a mobile app targeted towards retail workers. Workers could easily manage their shifts on their smart devices, which made it easier to control their schedules, reduced absences, and kept company productivity up. The app went viral among retail workers, who were spreading the word about it across the country. However, Atif and his team soon realized it wasn’t just retail workers who could benefit from the app. “Originally, the application was for the retail and hospitality spaces. But we started to see there were other uses in manufacturing and call centers,” said Atif. To pursue the total market opportunity, Branch Messenger sought venture capital. In less than a year and over the course of two different raises, Branch raised $10M. In a compressed market where fewer early-stage deals are getting done, this was an impressive feat. 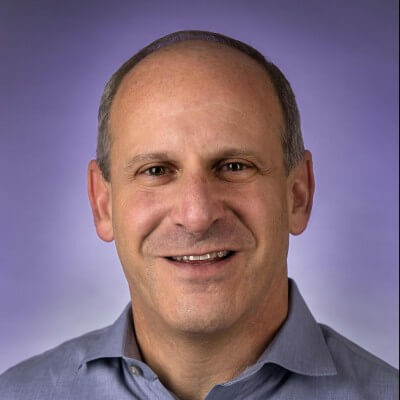 Neil Stern, who has been consulting in retail for over thirty years and become a thought leader in grocery, food service, and general merchandise retail, saw investment potential in Branch Messenger from its first engagements with Hyde Park Angels. “He already had demonstrated good traction within a large retailer, Target, and had shown that he can pivot quickly to uncover new opportunities, such as in call centers and distribution centers,” said Neil. Building a relationship with Target was a major achievement. Of Branch Messenger’s major competitors, none had leveraged the virality of the technology with shift workers to gain inroads with enterprises. During the fundraising process, both for the seed and Series A round, Atif was continuously bringing on new companies as customers and charging them for enterprise solutions while still offering the employee self-service tool to shift workers for free. “We started with a pilot with one company to working with about a dozen Fortune 500 companies,” said Atif. This growth in enterprise customers and revenue opportunities strengthened Branch Messenger’s position in the market as it raised capital. Atif didn’t just have this incredible growth story, he was diligent in sharing it as it unfolded. As the company had wins, he let existing and prospective investors know, generating interest between raises. For entrepreneurs looking to raise capital, Atif stresses that building relationships is about maintaining open lines of communication. Favorable market trends also played a part in the success fundraise and rapid adoption on both the employee and enterprise sides. “From an employee standpoint, trying to schedule or change shifts is cumbersome and difficult to do. Millennials prefer the flexibility of controlling this themselves versus having to communicate with store management,” said Neil. As Atif put it, nearly every one of the 75M hourly workers in the U.S. have a smart phone with them at all times. This trend creates a major opportunity to provide these workers with a seamless shift-swapping solution, which they have increasingly come to expect in the other aspects of their lives. The ubiquity of these devices has also given way to another major trend: employers are more comfortable than ever with their employees using personal devices at work and for work purposes. Enterprises have a lot to gain from the self-service model. One popular Branch Messenger feature allows shift workers to swap shifts at different locations and enterprises to see their talent base outside of one immediate store or center. As a result, enterprises “don’t have to hire more people or spend the time and resources on training, but pull in people who already have the training,” said Atif. 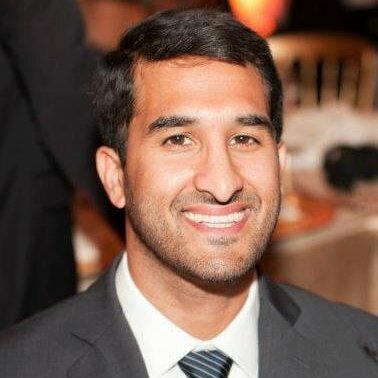 Throughout both raises, Atif has closely collaborated with his investors, including Neil. They have monthly check-in’s to discuss business issues, and Neil has focused on introducing Branch Messenger to service providers installing workforce management systems into retailers where the company’s technology could be an additional layer. In the next six months, they plan to continue collaborating to ramp up growth. Atif is focused on bringing on the best talent the Midwest has to offer. As an investor and advisor, Neil is working to help build out a robust pipeline of leads. “Like any startup, the biggest barrier [for Branch Messenger] is someone asking ‘Who else have you done this for?’. The more success stories, the easier it is to answer this question​,” said Neil.